In my previous post on November 7, I shared two new dreams, which helped me understand a third dream more accurately, showing the price of silver was going to drop before moving up quickly. When I posted that on November 7, the price was about $18.23 per ounce and trending up. Just four days later, on Friday November 11, it dropped sharply and continued dropping until Friday November 18, hitting bottom at $16.46 per ounce. Since then, it has moved up slightly to $16.65. Now that the price has dropped, I am expecting to see it moving back up soon based on those same dreams. The snow leopard (bullish) turned to face me and showed his white teeth (aggressive). My son (bullish) in the swimming pool turned around to tag me (aggressive). My friend showed me his putting green (bearish) in his apartment, but then I left there to drive home (bullish). I am expecting the move up to happen quickly and soon, probably back up into the same range where it was before it dropped. This was confirmed today when I saw a University of Auburn football player standing in his uniform when he suddenly jumped up in the air and did a full forward flip, then came back down and landed on his feet. Auburn’s uniform includes white helmets with white pants. For away games, they also wear white jerseys. However, the guy I saw was wearing their home jersey, which is dark blue. I believe the white uniform was another reference to silver, the white metal. His jump confirmed what I saw in the other dreams, the price moving up sharply. However, this added more information because after he jumped, he came right back down just as fast. Despite the next move up, the overall trend in silver is down. With the Fed likely to raise interest rates on December 14, metals prices are likely to drop sharply. After moving higher, I am expecting silver to drop to at least $15.00 per ounce. The last time the Fed raised rates, on December 15 2015, silver hit bottom the day before, hitting $13.68 per ounce on December 14 2015. It has not been that low again since. The downward pressure confirms the Auburn football player will only stay in the air for a short time before coming right back down again. The big drop will also complete the final leg down for the big white yacht dream, which I received on May 22 2016. You seem like a very well intentioned person but— Am starting to wonder if “God” is actually telling you prophetic words of the price of a monetary commodity or anything else for that matter. Does any of your bible reading really lead you to believe that God cares about money. Am wondering if you are going way off base here and to a troubling extent. Mike, I would suggest if someone took away all your money, you might start praying to get some of it. It would become a rather keen topic in your prayer life, and you would be hoping to get God’s attention. If he didn’t care about money, your prayers for help would be a waste of time. Now imagine that you are a missionary, bible translator, orphanage director, or running a leprosy ministry in India. You don’t have any income except for the money that others give. That comes from somewhere, and I believe God is interested in “givers” having a better supply so “receivers” have something to function with. Take money out of the equation, and most ministries grind to a halt. It’s all about equipping “givers” better so Gods work can function well. I recommend reading the Bible and believing what it says. How then do we explain, Solomon,Abraham,Job,David,Isaac and Joseph. Do you not think any of these men prayed about what the Lord had given them. Mike there are others on here having dreams about silver and gold as well. Are they not hearing as well? Does the Bible not say pray about everything? When I bought my truck I prayed that it was the right one to buy. Is that wrong? Money is power. Money in the right hands can do wonders and help many. So what’s wrong with praying about that. Proverbs 22:7 The rich rule over the poor.and the borrower is slave to the lender. Which one do you want to be? Personally I’m sticking with Proverbs 13:22. A good man leaves an inheritance to his children’s children”. Lol Ed, I agree with you and what you said about your truck made me laugh out loud. I prayed for an F150 and went as far as claimed it in faith. God is so good. I had the opportunity to purchase a F150 but I knew it was a mistake in my heart. I didn’t even take it for a test drive. Lol, got me a minivan and absolutely LOVE it! He will answer our prayers but he knows what we need, he still allows us the choice. How cool is that. I’ve have 2 small girls and we have been a number of long trips. I keep chuckling to myself even I see my girls in the rear view mirror watching a DVD. How miserable would they have been in the small space of an extended F150. God is amazing. A couple of years ago I would have agreed with you Mike. But I have come to understand that the “love of money” is the root of all evil. God wants us to be wealthy as long as we are aligned with his goals and advancement of his kingdom. Jesus spoke more about money than anything else. Both as a temptation and a blessing because He knew the power it possesses for mankind on earth. The key is to pray for wisdom to discern the difference…. It is not true that Jesus spoke more about money than anything else. If you look at the New Testament, you will find that Jesus spoke about hell and eternal punishment the most. The only reference, for money is this one: “You can’t serve both God and money.” Using God to help you succeed in your finances was never mentioned by Jesus. In fact, Jesus said only this about earthly well-being: “Seek first the kingdom of God and His righteousness, and all other things will be given to you.” Hence, asking God for “financial” direction is not the right way. We have to seek Him first, and then God will take care of finances automatically, not the other way around. I agree we are to seek first Gods Kingdom and think on things above and not things of this earth, for the cares of this world choke the word from becoming fruitful. Jesus taught us how to be good stewards with His money on earth so we can be an extension of His giving on earth as it is in heaven. It is more blessed to give than to receive so God blesses us with His riches and we in turn bless others to the measure that we have been blessed. That is how Gods Kingdom operates. His kingdom in us can not be fruitful on this earth unless we have an intimate relationship with Him and seek Him first, then all these other things will be added to us. I just wonder how did this went from Joseph and Pharaoh dream of 7 years of famine and 7 of prosperity to dreams of something so unnoticeable as silver pricing. I wish to understand why won’t God simply reveal something a lot bigger instead of this constant tracking game. Since you want to understand, I recommend asking God for the understanding. Im not totally convinced the Fed will raise rates. If they dont the dollar would drop for the day and silver could spike. And, with the severe optism in the markets silver would fall again. But, they may just raise rates which would cause similiar if not worse problems than last year. Therefore, I’ve been thinking that a sudden rise before December 14th would mean that the Fed would likely raise rates and this cause silver to drop back down again. If the Fed raises rates they risk bursting the bubble again like last year. They are clearly a highly politicized organization and does not want to cast a negative light on Obama’s “impressive” recovery. I continue to have faith – despite recent losses- that this will pan out. Currently positioned long in Silver. A rise in Silver might be commensurate with spike down (wave 4 correction) in the markets – which has been referred to by JB as the “V”. Best wishes to JB and all here that have been patient. May this be the first of many trades the brings increase. Hi James – since you posted this on the 23rd and mentioned that you see silver going back to lows around the FED rate hike announcement on Dec 13th – implicitly you are seeing this ‘rise and fall’ as happening within the next 10 trading days. This amounts to a new type of prophetic word – with a time stamp on it. I am considering getting SLV CALL options – some 4 weeks out – but a small percentage closer in (2 weeks) – which would be cheaper – and targeted to be ITM. I suppose this would be a good prayer topic: asking for confirmation on this time window. The trade you describe – (back to back, rise and fall) – offers a unique opportunity to reach a high return on investment. 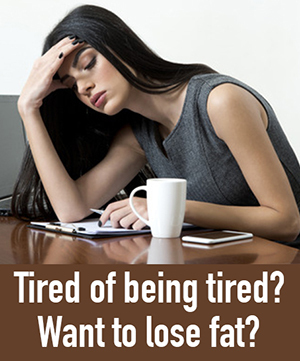 Interested in your and others thoughts here…. I did not share any prophetic word about silver prices dropping by the Fed meeting. I simply pointed out what happened the last time the Fed raised rates in December 2015. There is a huge difference between the two. Even though it seems likely based on history, that does not mean it will happen. God did not show me any dates, so that is NOT a prophetic word! So if you were called to build a foundation and were led to leverage options on SLV – what would you suggest? My losses exceed 30K on the April 25th time frame. I should suppose that January or February expiry would cover the time frame of this – an important understanding you have been led to share. – otherwise you would not have shared it. Correct me if I am wrong. WE are all in this together – we have collectively been thwarted -it is now time for unity and a common ground going forward. I bought spot gold and silver on friday. My option trading has been a complete failure. If I’m wrong on the short term, then long term I will still succeed even with holding costs. I still read James posts carefully . I think he tends to be well in abvance of a move . We only see in part and prophesy in part (1 Corinthians 13:9). I share some of the little clues I receive, but they are often not enough information to make an investment decision. It is offered only as a starting point for prayerful consideration. Hi James, it seems Nov18th was not the turning point. The two legs may be both on $15. Any comments? It is very easy to assume we know what God means when He reveals something, but in hindsight our wrong assumptions are revealed and the only thing left is what God meant all along. When He said the price is going to go down into Friday, I assumed that meant Friday November 11, but the only date He mentioned was Friday November 18. It started dropping on Friday November 11 and continued dropping into Friday November 18, so it happened exactly as He said. He also said, “Then it is going to turn around and reach the top”, but He did not identify a date for that, just that it would happen after it drops into Friday. Since the first part happened, I believe the second part will too. I assumed He meant the bottom was on November 18, but He never said anything about the bottom. These are some hard lessons and likely to offend some people, but valuable if we can hang in there and learn to stop relying on ourself and our own assumptions about what He means. He wants us to take everything to Him and seek Him for more details. All of Him and none of us. That is the goal. James, Thank you for your promptly reply. God knows everything. He knew not only the market but also the feeling of Z3ers. HE know some Z3ers got wet(LOSS) (the pool dream) and he know I was one of the passenger in your car driven home(Two boys dream). I got in your car on NOV 18. Now the right wheels is off the road. May God comfort our unnerving hearts, help us hang in and make the car getting back to the road soon. Amen. Amen. I believe we are close to seeing the snow leopard showing his teeth, my son turning around and swiping at me, and the wheels getting back on the road again. 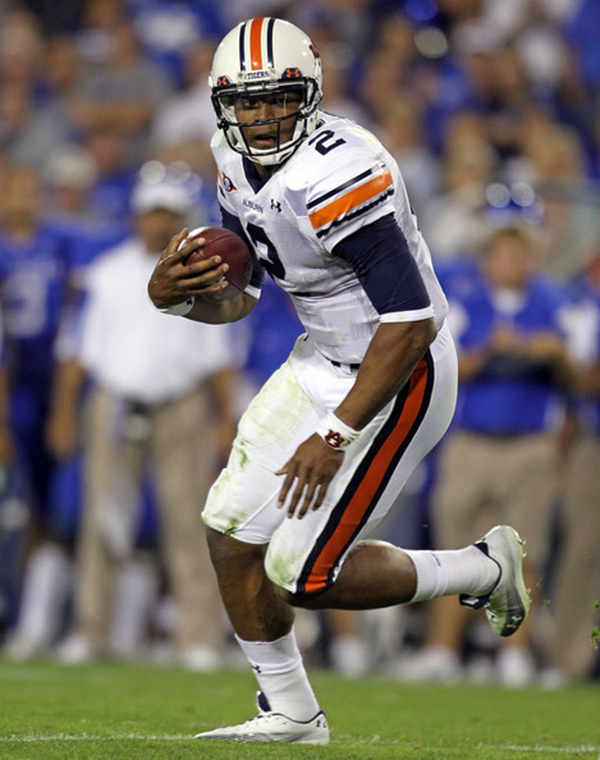 JB, I was pondering this Auburn Tigers dream over the past weeks. You interprets the dream to mean that there will be a spike up in silver and then a fast move down (which I agree with related to the interpretation). The question I was thinking about was timing. I’ve been asking myself why the Lord showed you an image of the Auburn Tigers (specifically in their home game jerseys). When it comes to prophetic dreams, I also believe everything the Lord shows us has a purpose and every detail is important. That made me think about the possibility that the timing of the up move could be related to a future game that the Tigers play. Since your dream, I’ve been looking at the college football schedule for the Auburn Tigers. They played an “away game” vs. Alabama on the 26th (which is a different jersey). It was announced recently that the Tigers will be playing in the Sugar Bowl vs. OU on Jan 2, 2017 in New Orleans. Until then, there are no games scheduled (as far as I know). Based on my limited understanding of the “bowl” games, the higher ranked team (which in this case is OU) has the choice to pick their jerseys first. 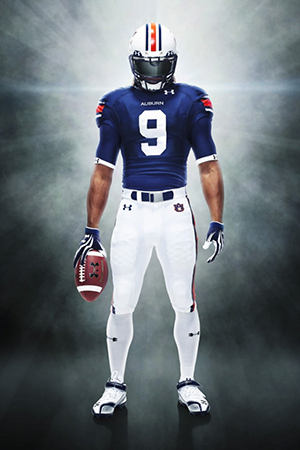 If OU picks the white jerseys, Auburn would be wearing the blue jerseys (as shown your dream). Could the spike up in silver occur at that time? It’s possible and something to monitor as we move closer to the date. I’d love to hear your thoughts on this. Many thanks for all you do on z3! Who is praying for the silver price to go up next week ? Who is praying for the big Red V happen next Monday / next week ? down & up in equity markets for 2 days . The Silver shoot up …. The big red V may be fulfilled next week . I did not see anything suspicious about it. What did you see? I check Jim’s website about once a week. If something ever is posted on there that seems out of line with a Godly purpose then please let me know ASAP and I will stop linking my name to it. I know it is seems like a crazy plan but I think his heart is in the right place. I don’t understand how it could ever work but I don’t see any harm with him doing what he feels like God wants him to do. I thought you were referring to a computer virus. I am not familiar with that site.